lifelong dream. We give Greg a top notch rating and referral to anyone who is seeking to find and secure a home within your area. Thank you again. I was a first time home buyer and was completely clueless. Katy was so helpful and informative throughout every step of the process. I looked for a long time before finding my home, but Katy was always so patient and personable. She was very quick to respond to any of my questions or concerns and willing to work around my schedule to look at homes. Tricia did an excellent job selling my home. Tricia helped me through every step of the selling process. Tricia went the extra mile to sell me house and to get the best price for it as well. I was very pleased with my experience and would definitely recommend her to others who are looking to buy or sell their home. Steve worked with me for several months trying to find me what I wanted from property to a house. I found Steve to be very friendly, knowledgeable, efficient, and understanding. knowledgeable regarding the buying and selling process. We would recommend him to anyone! Josh was very hands on throughout the selling of my house as well as the purchasing of my new home. He even helped me repair a shower door that was broken before I sold my house. I would definitely recommend Josh to anyone who’s interested in buying/selling a home or property. 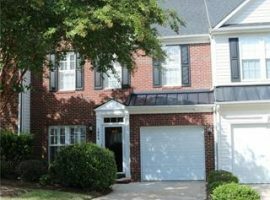 I am so glad that Tricia Carpenter answered the telephone when my husband and I contacted Moss Realty seeking information about several homes for sale in the Gastonia area. During that initial conversation with her, I found her to be a true professional by asking us if she could show us those homes. I initially telephoned another high profiled agency in the area who wouldn’t take the time to tell us that he had another home in the area that was listed by his agency. We felt that agency did not care for our business. However, when we called Moss, Tricia made us feel welcomed and was happy that we called. Tricia is truly a pleasant agent to work with. Her response time to any of our questions is more than speedy to say the least. We were approved for a substantial loan amount right away but, minimized our search area to ones that best fit our lifestyle and comfort. In doing so, Tricia gave us the assurance that if someone else’s bid was accepted over ours, not to worry because another house would come on the market that we might like. We enjoy working with Tricia. She is a person of integrity, something you don’t see much of these days. Tricia is very knowledgeable about the real estate market and helped us understand the sales contract within the simplest of terms. It is our pleasure to work with Tricia. On a scale of 1-10, with 10 being the highest mark, I would give Tricia a 1o-plus mark. Whenever our real estate needs change, we are certain that we will call Tricia Carpenter to meet our needs for the future. Moss Realty is your source for buying and selling Real Estate in Gastonia — North Carolina's finest city. We’ve got over 100 years of combined real estate experience and we’ve been serving Gaston and the surrounding areas for the past 20 years. But it’s our continued attention to customer satisfaction that sets us apart from the competition. We listen to our customers and always put their best interests first. So if you’re interested in buying or selling property in Gaston County, Belmont, Mount Holly, York, Kings Mountain, Shelby, or Rock Hill, our team of talented professionals is here to help you with your next move. Search our available Gaston County real estate listings to find the perfect property. You can compare and save your searches, get email updates on price reductions, and even schedule your showings online. Get a complimentary, broad range value report for your Gastonia property. This report uses both public record data as well as recent real estate sales to determine your property valuation. Looking for a bank owned bargain? We can help. Upside down or facing foreclosure? We have been negotiating with banks since the 80s and will guide you through this segment of the real estate market. 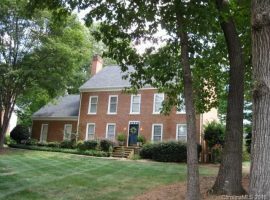 With our online presence and real estate experience, we’re perfectly suited to helping you find the perfect buyer for your Gastonia property. To learn more contact us today. In this market getting pre-approved is more important than ever. It will give you strength when negotiating with a seller and confidence when submitting an offer. There is no charge to get pre-approved and your lender will quote you a price based on todays rate. Contact us today and we will put you in touch with several of the top lenders Specializing in Gastonia real estate for sale and help answer any questions you might have. As a part of the Carolina Multiple Listing Service (CMLS) Moss Realty has been serving Gaston and surrounding counties for over 20 years. Acquired through years of experience; finding and researching our market and homes just like yours. You will constantly be informed of all activities on your behalf. Through your Personal Agent, a staff of 10+ Professionals, and the Personal Touch you receive, no questions will go unanswered.